Lifting the Veil on ‘Say Yes to the Dress’ — Is the Hit TLC Show Just Another Scripted Reality Series? Does this count as cheating on our relationship? Because the Cinderella moments you’ve been watching on TV may be nothing but a decked-out pumpkin. 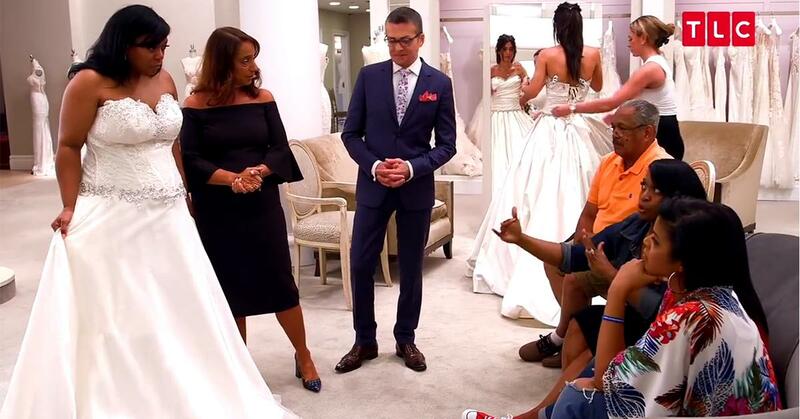 Say Yes to the Dress has captured viewers as it showcases brides-to-be going to the Kleinfeld bridal shop in New York City trying to find the perfect gown to say “I do” in. 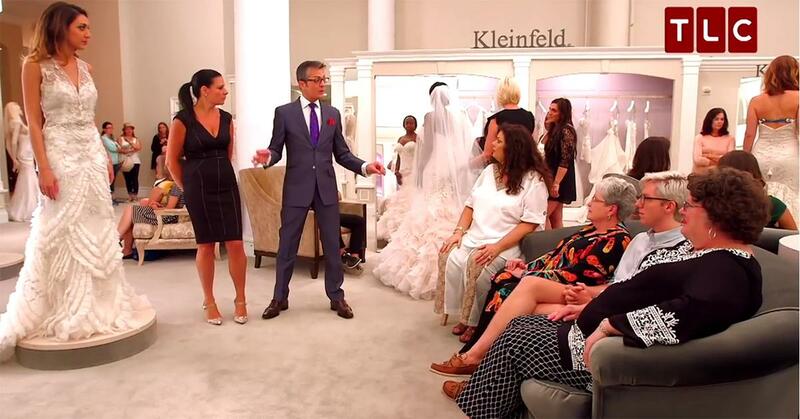 And while wedding dress shopping with your family can be stressful, some of the Kleinfeld bridezillas have us wondering, are the wedding shopping experiences on SYTTD real — or is it all TV magic? It turns out, the drama that unfolds in the salon is partially scripted. Yes, scripted reality television, who would have thought? According to the web, the production crew of SYTTD handpicks brides and groups that already have drama amongst their inner wedding circle. In the editing room, the producers pick the juiciest soundbites, which therefore piece together a drama-filled 30-minute show. On hopeful bride, who appeared on the show, thought filming would be a dream come true, but had a very different experience. "Despite looking like a palace on TV, Kleinfeld isn’t large enough for the amount of customers it attracts," Amanda Lauren wrote for Ravishly in 2015. "There aren’t enough mirrors and platforms, so I had to wait in line while the clock was ticking. Would my appointment end before I got a peek at myself?" Amanda continued to explain how her consultant did not listen to her dress requests and pulled items that were over her budget. Not only did her consultant throw some red flags at the bride-to-be, the final straw came when she realized the Kleinfeld rep was pulling the exact same dresses for other brides. "I feel like reality television tricked me. Kleinfeld isn’t in the business of making women feel good — they’re in the business of selling dresses. It doesn’t matter if the dress isn't what you want — they just want you to sign a credit card receipt in under 1.5 hours,” she added. Yikes. Not only were these brides tainted by their bad customer service experience, but the dresses were also not in the best conditions, like pictured on the TLC show. According to the New York Post, brides tried on dresses that were badly soiled. "There were actual armpit sweat stains. And on the hem, it looked like it had been out in the street," one customer reported. Another bride on the series noted, "On the show, it looks like this amazing wonderland of gorgeous dresses... But the samples are beaten to hell. 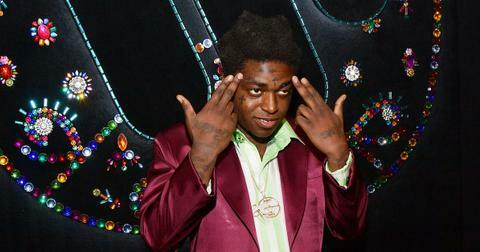 You don’t even really get a good idea of what [they] look like." Overall, the brides chalked up their terrible experience at the high-end bridal boutique as a place where souvenirs are bought; therefore, deterring brides from actually participating in a Kleinfeld experience. Guests on Say Yes to the Dress: Atlanta, who filmed at Bridals by Lori, also had similar experiences. Not only was one bride limited to trying on just four dresses, filming took eight hours from start to finish. "They want you to act as natural as possible, but you can tell that they want to stir up some drama," Courtney Wright told 417 Bride in 2013. 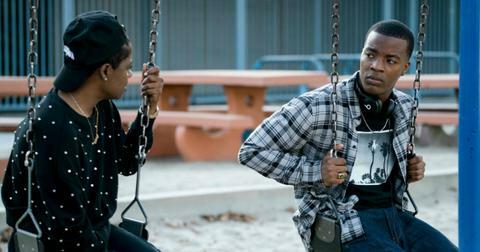 "If someone says something that could potentially cause a disagreement, the director asks you questions about it." Are the Say Yes to the Dress brides at least paid for their appearance? 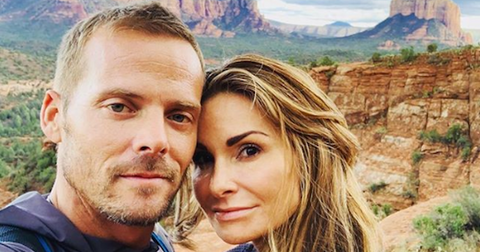 Though brides leave the Manhattan-based store spending thousands of dollars, they unfortunately get zero compensation for appearing on the show. Actually, they’re not only not paid for appearing on the hit reality series, but they have to pay full price for the dresses that they purchase. According to multiple accounts of brides who have been on the show, during the application process, they’re even asked, "Who is paying for the dress?" Apparently, not Kleinfeld. While the Kleinfeld store is very much real, the fairytale experience they paint on TV seems to be a very pretty farce — but we'll still be watching.